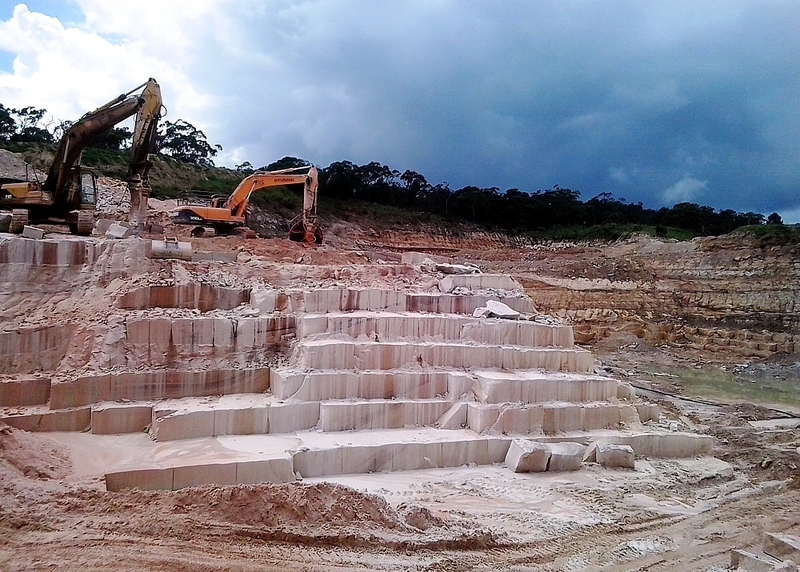 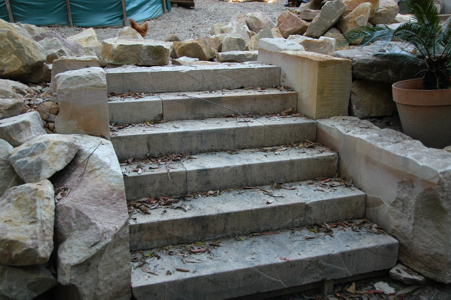 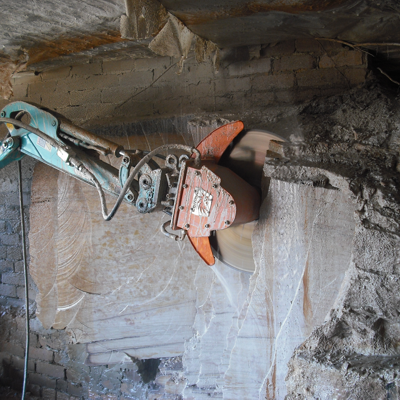 Excavator rocksaws can be utilised in quarries in a variety of ways. 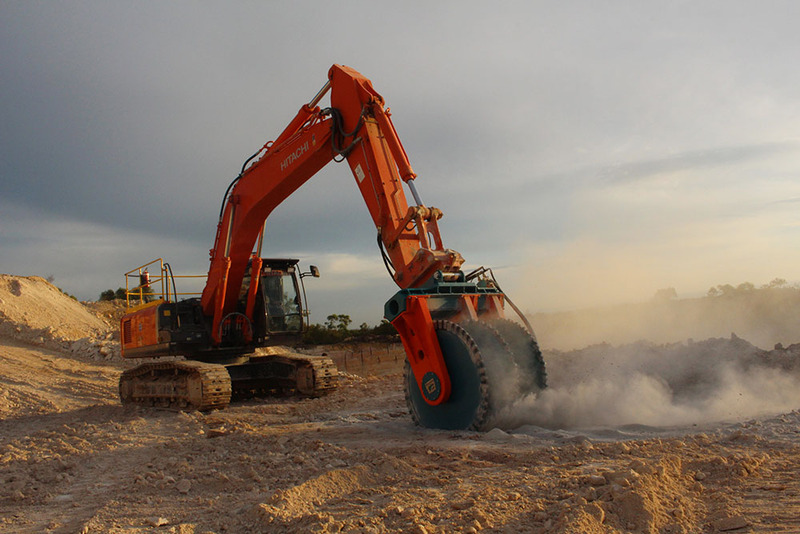 If your excavator has the power, you can use multiple blades to increase productivity. 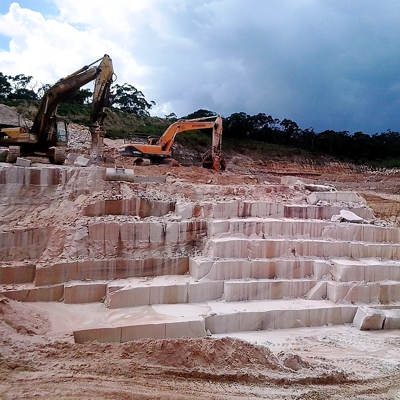 Multi-blade saws save time in the preparationof the site, and produce blocks with uniform size, and perfectly parallel. 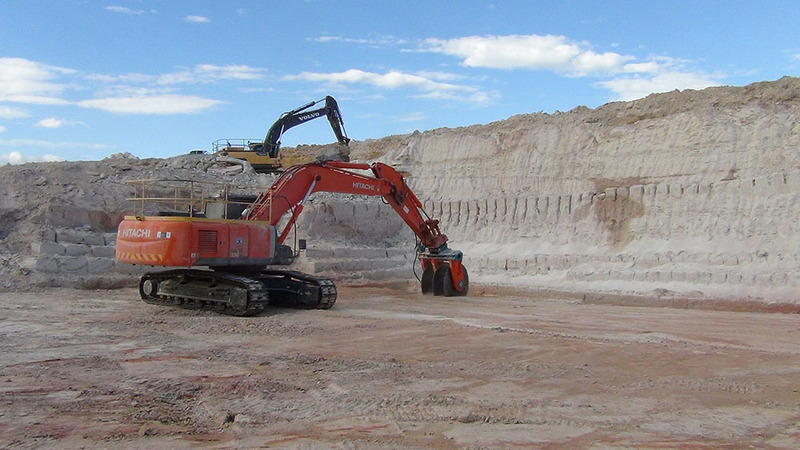 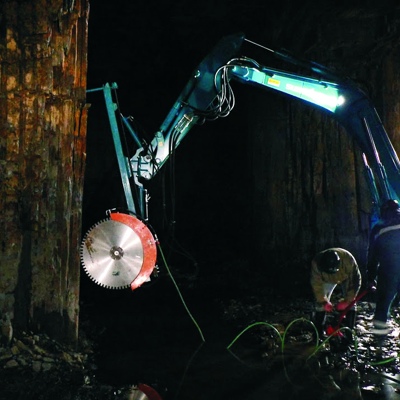 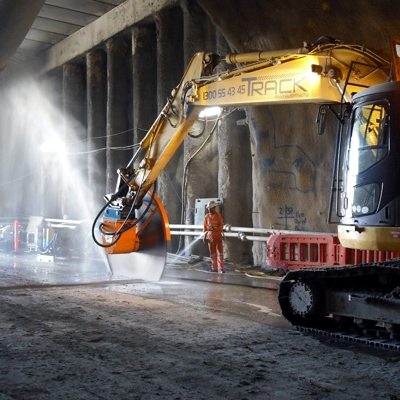 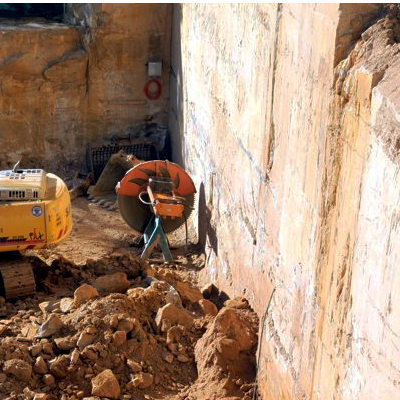 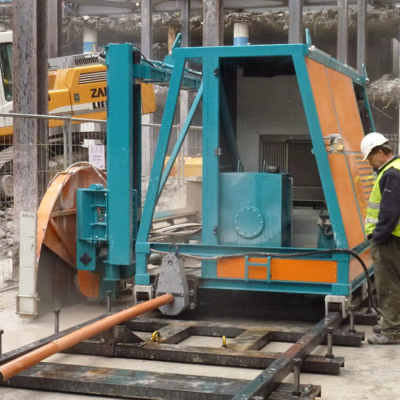 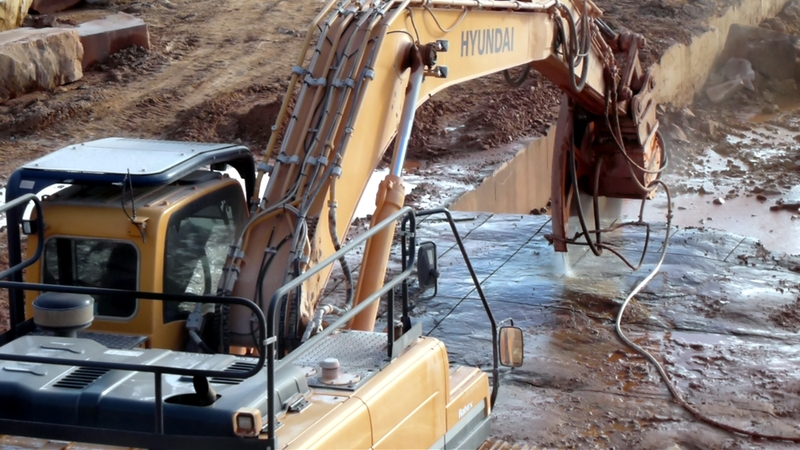 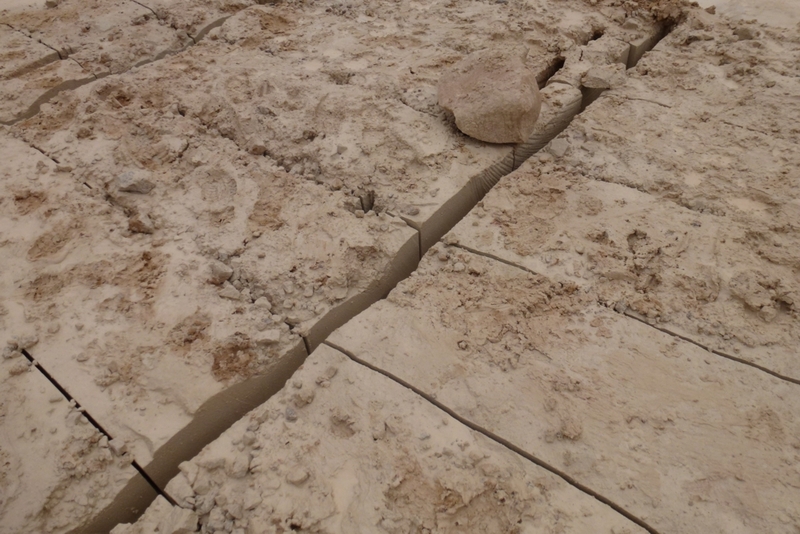 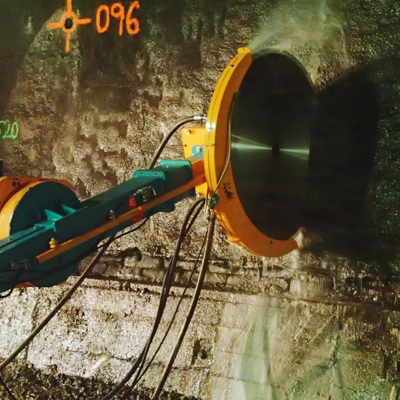 Echidna's Omnicut rocksaws are a revolutionary new development in rock cutting technology. 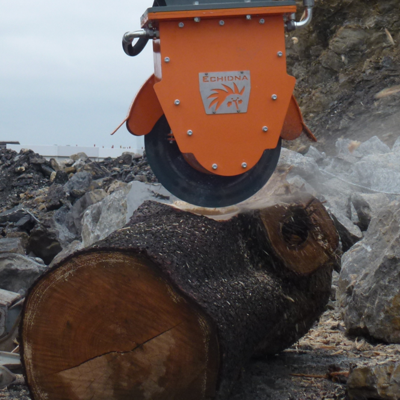 The Omnicut saws combine the hardness of diamonds with the robustness of tungsten carbide to make a saw that can cut through hard and soft rock, reinforced concrete and wood, without the need to change the blade. 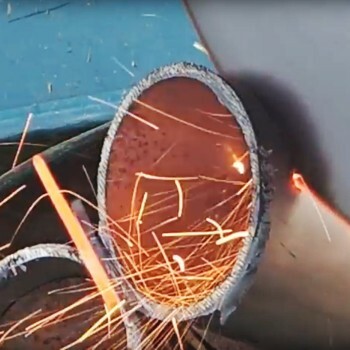 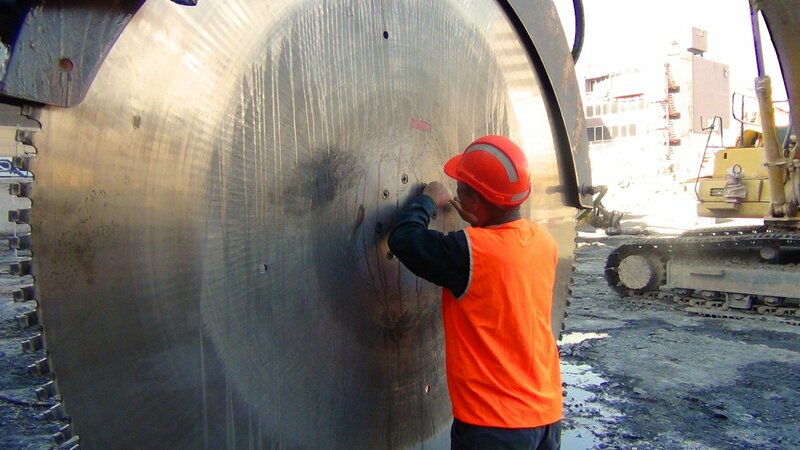 The tips are very long life, and the blades cut fast and efficiently, resulting in fast cutting with single or multiple blades. 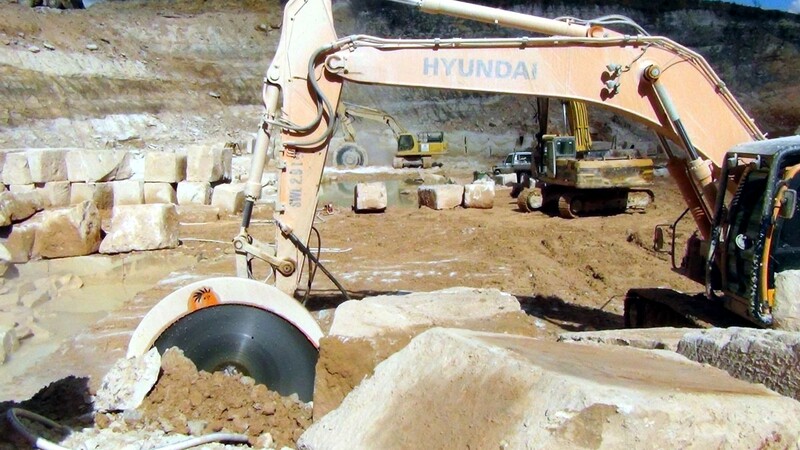 Tungsten-carbide rocksaws are commonly used for soft stone quarries - sandstone, marble, mudstone etc. 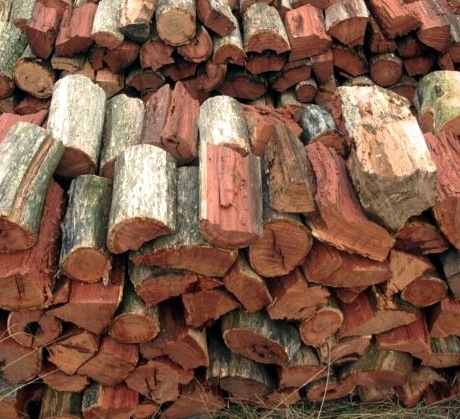 They have several features that make them attractive. 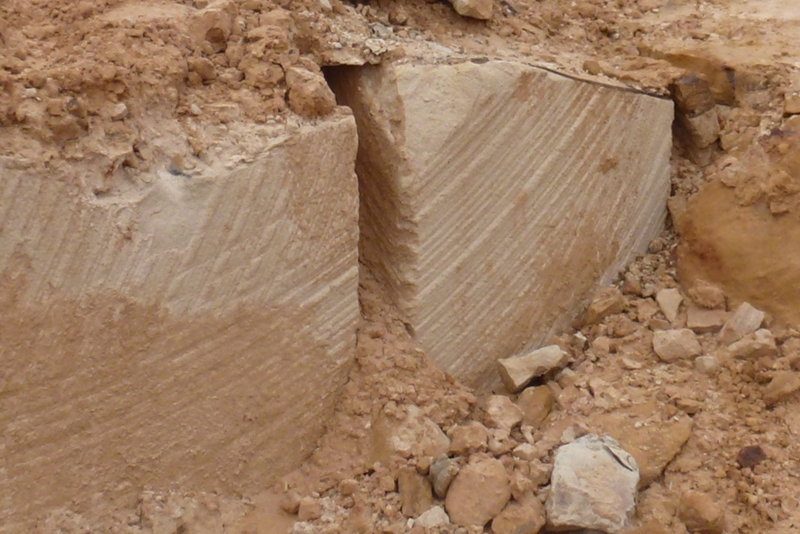 The tungsten carbide saws have quite a wide cut, and the cut face is rough. 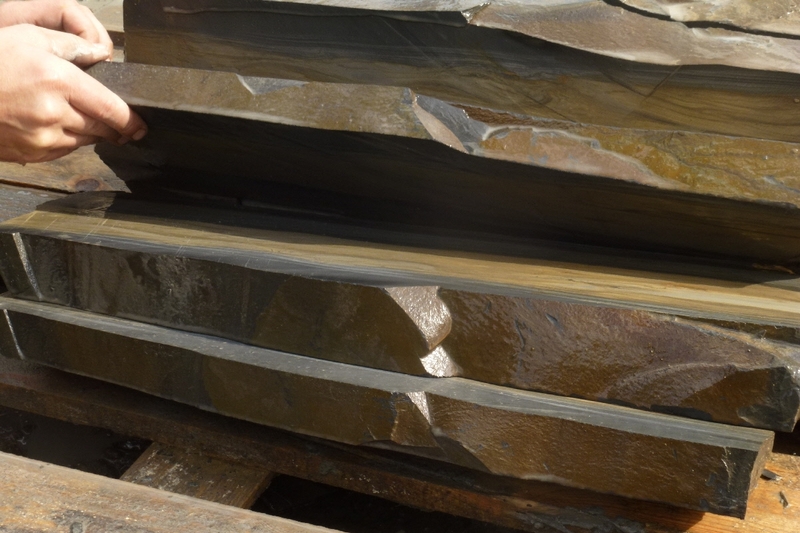 They are not suitable for the harder stones and conglomerates as the teeth wear quickly and tend to bounce off the hard rock. 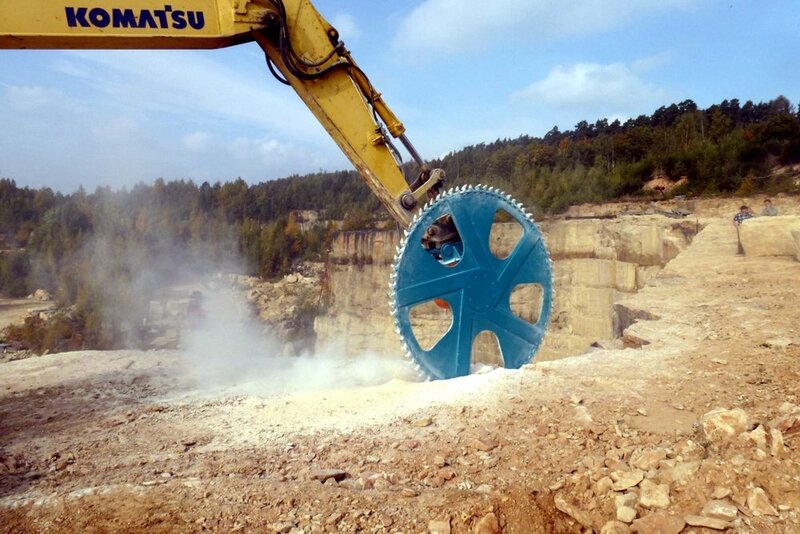 Diamond rocksaws are also used for quarrying. 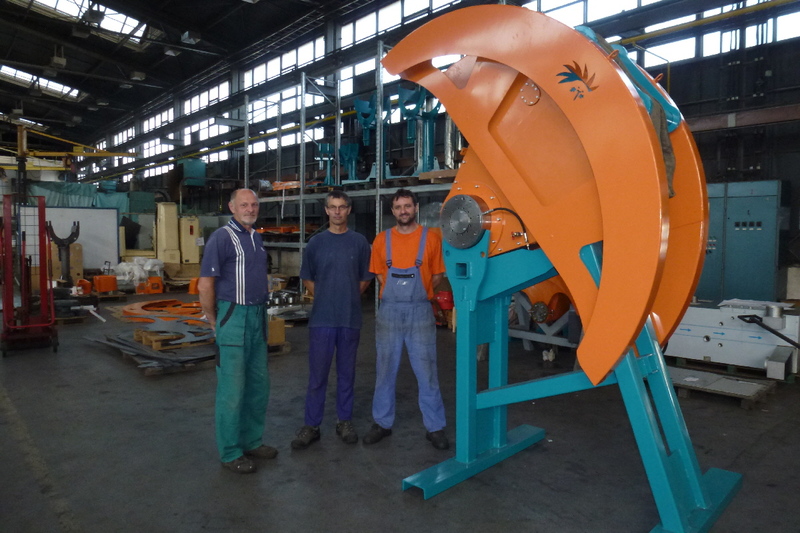 They produce a smoothly finished cut, and result in less waste of valuable materials. 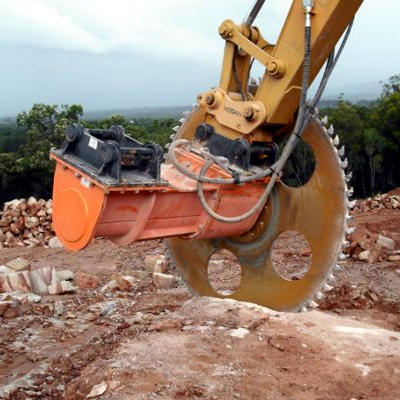 On large excavators, it is possible to have two or more blades for making parallel and precisely spaced cuts. 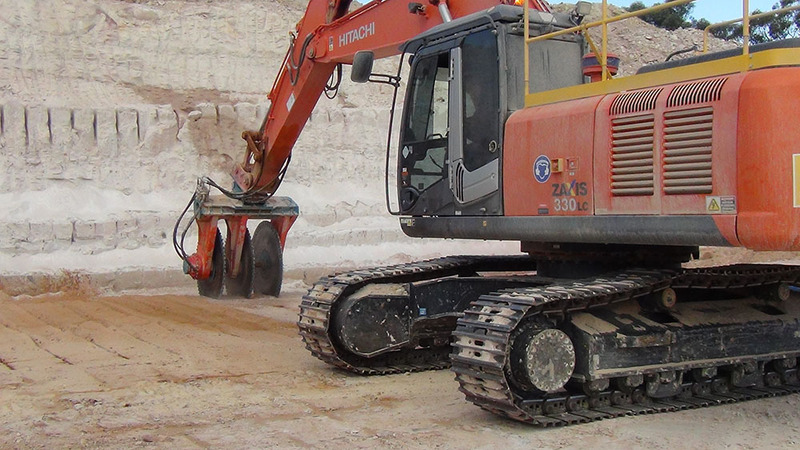 This reduces the time taken for careful repositioning of the excavator, and ensures regular block shapes and sizes. 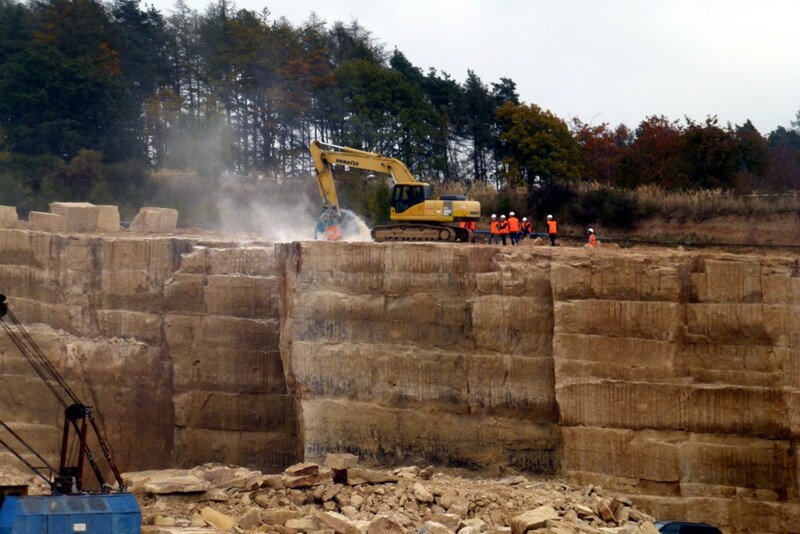 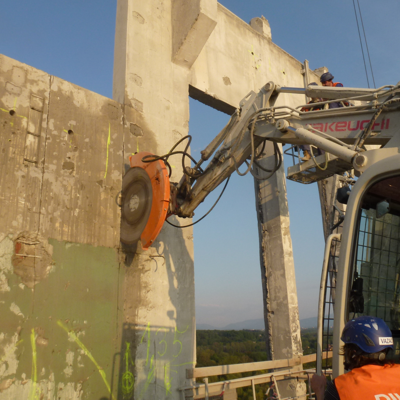 In many quarries, it is possible to run cutting systems such as our rail-guided, automated CS5 cutting system. 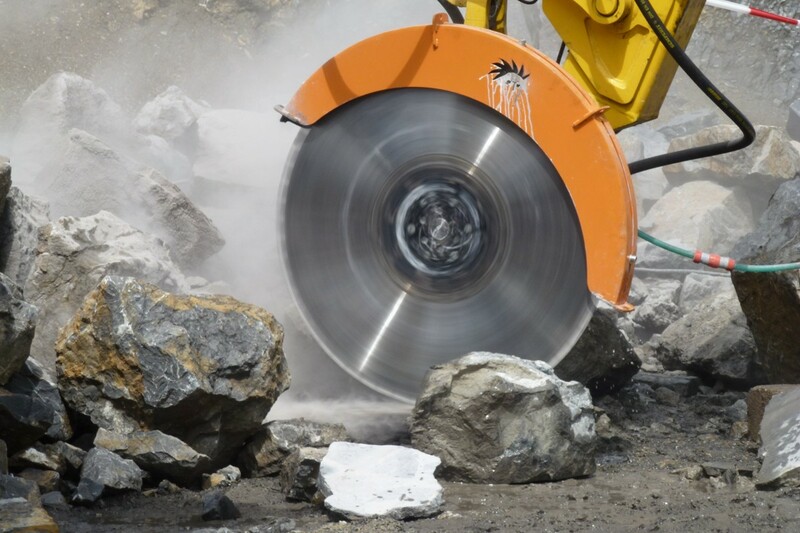 This method can result in very good blade life, increased productivity and high precision blocks.